After being trapped inside for the majority of September thanks to Chicken Pox, we made the most of being free again and decided to take Noah on a trip to the farm. We really wanted some quality time just us and Noah, with us being free to give him our 100% attention, so my Nan kindly offered to have P (she is mildly obsessed with him and downright amazing with children even though shes almost 70) so off we went to our local Farm with Noah. It's called White Post Farm, and if you're from the East Midlands you'll have definitely heard of it as it's pretty damn fantastic. It's actually only 20 minutes from our house so we are extremely fortunate because it is a tractor mad toddlers dream. 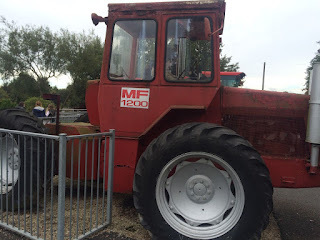 When we arrived we paid our pennies and then immediately saw the explore-able tractor and combine harvester, which Noah could not wait to get on and have a turn pressing all of the buttons. He kept shouting 'look at me Mummy, I'm the farmer', it was so sweet so see him doing so as I cannot really portray how obsessed with Tractors this boy is. We then headed off and fed some goats, sheep, ducks, chickens, and a handful of other animals. Noah was a little apprehensive at first but then got into the swing on things when he saw us and everyone around him openly feeding the animals. We also timed it to pure perfection and got to the front of the queue right in time for a real life tractor ride, we hopped on the back of the trailer and sat on bales of hay as it drove is around the farm, showcasing all the animals in their vast surroundings. It was lovely to get up close with some of the cows and pigs, even getting to watch the 'farmer' as Noah thought, feed them. We then hopped on into the food barn, which we then realised had their own dedicated picnic area which would be lovely for summer, although that being said the food was incredibly cheap and ended up at a mere £7 for the three of us - total bargain. 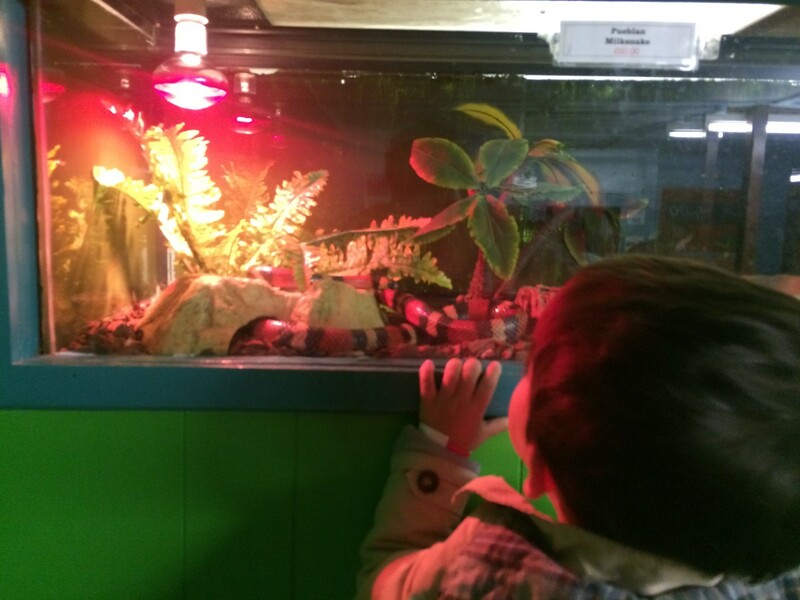 From there we made our way through to their reptile centre, where Daddy got to hold a gecko and a snake, Noah loved wondering around as they had little steps so he could climb up to some of the higher tanks and peer right through. He wasn't phased by any of the snakes or spiders, which I thought he might be, he loved every last minute of trying to find where they'd hidden in their little vivariums. We had such a lovely day, we didn't arrive till dinnertime and left around 4:30, but could of easily arrived first thing and still had so much to do. 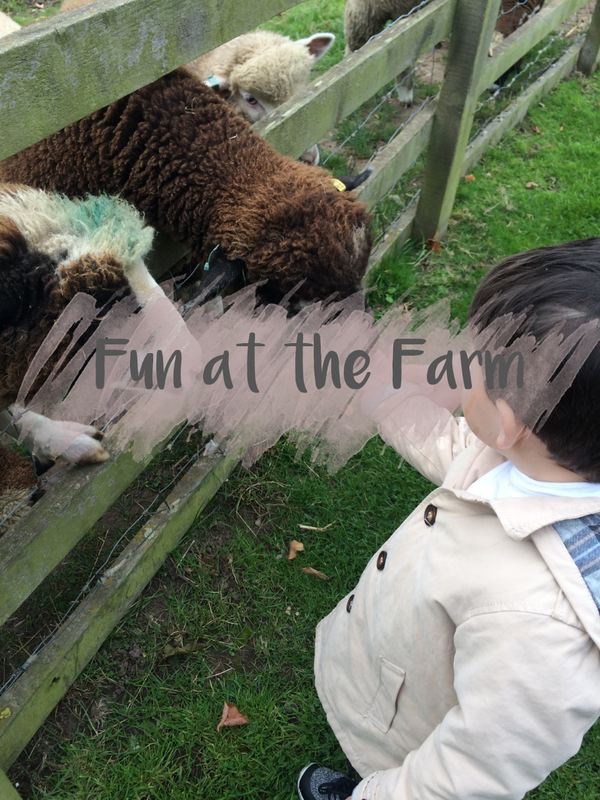 I really regret not visiting the farm before now, but we're definitely eyeing up annual passes with it being on our doorstep, as I can already tell it's a firm favourite amongst us. Sounds like you had great day out! I need to find a farm near us to take Parker too, I think he'd love it! How adorable Emily. White Post Farm looks great!! Thankfully, the baby survived his chicken pox blues so you can enjoy a nice outing together. I know how it is! My boyfriend just got surgery from an arm injury and we finally were able to get out yesterday. Noah looks like he's enjoying every moment of his Farm adventures!! Adorable post!